One may find the title of this article rather misguiding. The intention is not to provide the reader, a list of good astrologers in Melbourne or for that matter any other Australian capital city, but to equip with the skills to recognise the rotten apples. 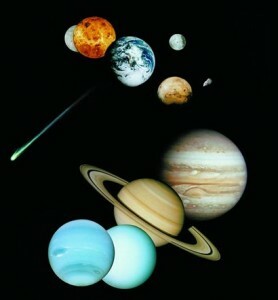 Astrology is a method of predicting life events based on celestial observations. Astrology is rejected by the scientific community as a pseudoscience. The science we know today is yet to gain a grasp on the fundamental principles on which astrology is based. An enhanced level of scientific knowledge may one day enable us to explain the complexities of astrology. It is evident that all ancient civilizations used this divine science for the benefit of their populace. The Indian civilisation is no exception. In India, it is a long established tradition to consult an astrologer for matters concerning birth, marriage, house warming, career etc. This tradition is carried on by Indians settled in Australia as many maintaining constant touch with their trusted astrologers based in India. It is evident that there is a strong demand for astrology services in Australia among the Indians. Unfortunately, in recent years fraudsters and scammers have established their presence to make good the opportunity. A few years back I had come across one such person, who used to advertise in Indian newspapers here as Sastriji . A few minutes of conversation with him, was more than enough to uncover his ignorance of the subject. But his advertisements kept on coming for the next couple of years, which in itself was a declaration of his success in scamming Indians here. The silver lining is that, Indian newspapers of repute usually don’t carry advertisement for Astrologers. It is time; the Indian community in Australia take a stand on these false experts of astrology. If the Astrologer’s advertisement carries these words, ignore them. Astro- fraudsters usually travel around India staying in Lodges, scamming people. That explains the language proficiency. They won’t be able to stay in one place for long as it is difficult to get repeat clients and a possible backlash. If someone advertises as astrologer and psychic, definitely he is an astro-fraudster. This psychic ability will catapult him to one man solution for all your problems. More over the claimed psychic ability will relieve him of the necessity to show any grasp in Astrology. It will be worthwhile to test his/her psychic ability beforehand on things you can confirm immediately, like the birth date of your close friend or your grandmother’s maiden name. Do not allow the psychic astrologer to bluff on your future events as you won’t be able to confirm its authenticity in near future. Make sure you test the product before you purchase. If the advertisement carries any words that suggest that the astrologer can solve all your problems, you are looking at an astro- fraudster’s ad. No sensible astrologer will make such a claim. If you happen to meet (or happen to see an advertisement) an astrologer in Australia with a surname ‘ Shastri’ instantly avoid him . Shastri is a Brahmin surname in India and people from this cast are known to be well versed in Vedas and Vedic Sciences. These fraudsters are fraudulently using the surname to gain your trust. How to deal with an astro- fraudster. If you happen to be with an astro- fraudster, before making any payment for the services, ask for evidence to show his rights to work as an astrologer in Australia. In most cases, these astrologers are found to be overstaying their tourist visa. Report them immediately to the immigration department. Do you know what these mammoth structures are?